and get a fast, accurate view of any differences. 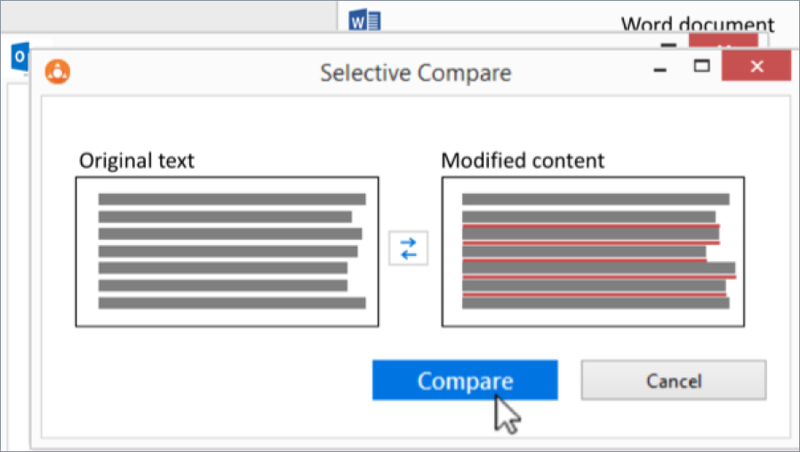 Workshare Selective Compare gives you the option to see changes to a clause, review the differences between snippets of text or code or compare two versions of an image or a table. You can select the content from anywhere and compare it in seconds. It’s powered by the same lightning-fast DeltaView technology used across Workshare Compare, so you can be sure of a dead accurate result; you just don’t have to redline an entire file. Clients often need to review a single clause with a colleague or outside counsel, which gets sent back and forth. Being able to see what's changed in just one clause will save them valuable time each day. 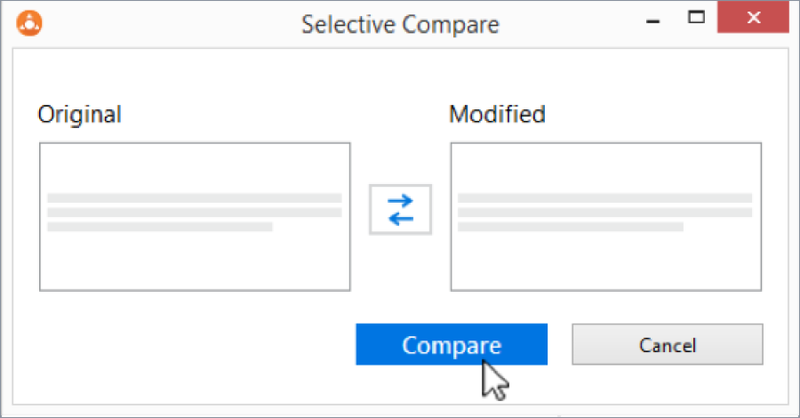 Copy, code, images or tables can be selected from an email, a chat window, a Word document or any other file and pasted into Workshare’s Selective Compare tool. When you click Compare, the changes are quickly and clearly displayed, showing you exactly what’s different between the two versions. When you need to run a comparison, you know that even the smallest change in a document can make a big difference. 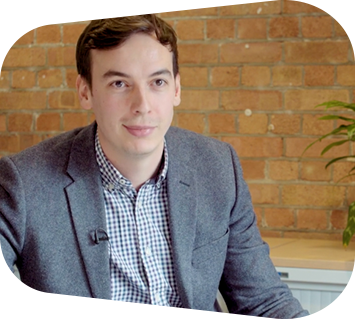 Discover the incremental benefits of using the market-leading file comparison solution – Workshare Compare – now with Selective Compare. How can I get Selective Compare? 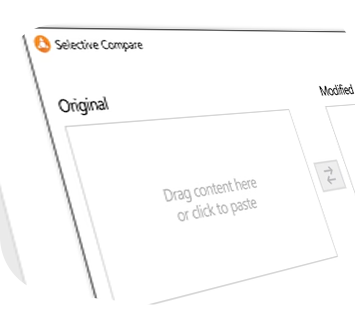 Contact us any time to see a demonstration of how Workshare Selective Compare works. It is available with the release of Workshare Professional 10 and comes as part of the Workshare Compare license. The Workshare Compare license includes other patented features that make it the world’s market-leading solution. As well as running comparisons on selected text or images, you can compare Word, PDF and PowerPoint files, view changes by category, use color coding to sort changes by materiality, and if you use a document or case management system with Workshare embedded, you can run a redline from within that platform and save back your new version. However you choose to use Workshare Compare, your review will be lightning-fast and the changes you see will be dead accurate. When you’re busy and working on hundreds of important matters, choosing the right comparison solution will save you valuable time (and a few gray hairs).